Females fully winged. Body brown, pronotum chalky white laterally; tarsi, also base and apex of mid and hind tibiae, yellow; antennal segments III–V yellow at base; fore wing shaded medially. Head longer than wide, wider across cheeks than across eyes; postocular setae minute; maxillary stylets retracted to eyes, close together medially; mouth cone extending to mesosternum. 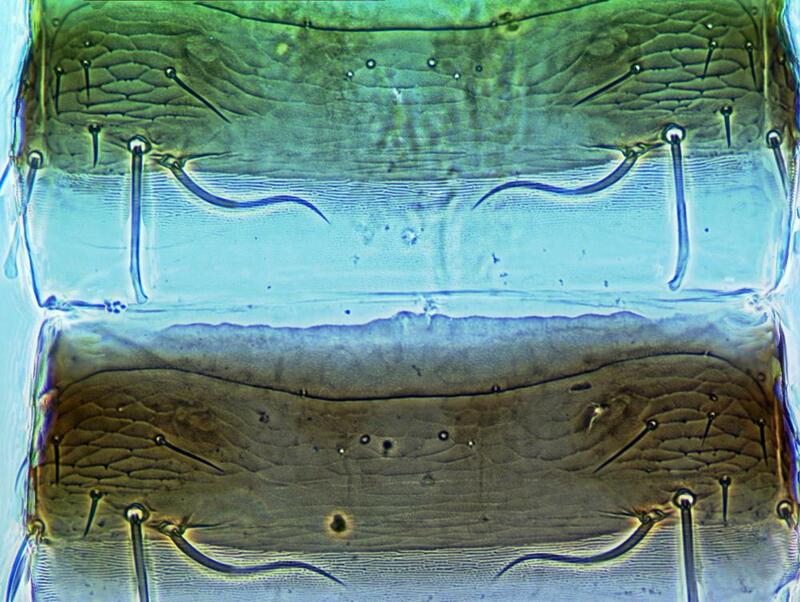 Antennae 8-segmented; sensoria on segment III–IV stout, two on III, four on IV; segment VIII constricted at base. 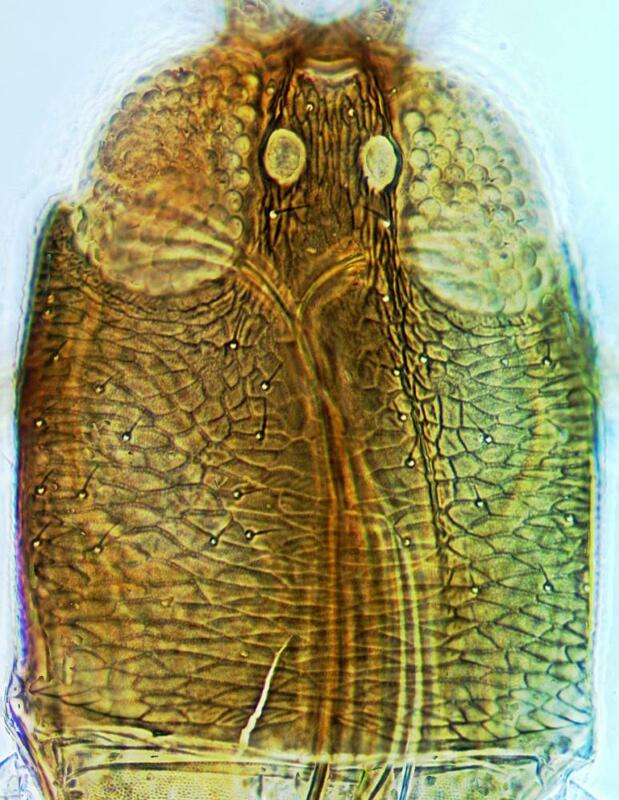 Pronotum with five pairs of capitate setae; basantra absent. Fore tarsus with no tooth. 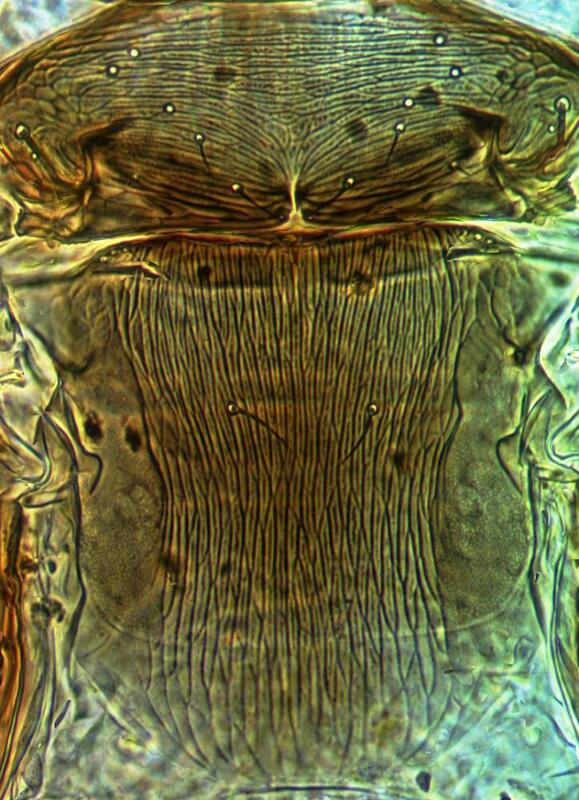 Meso and metanotum striate, with dots between the striae. 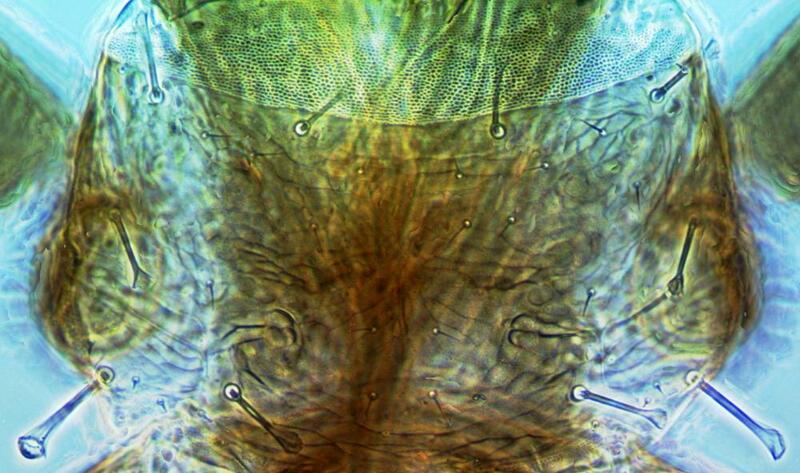 Fore wing parallel sided, about 10 duplicated cilia. Pelta triangular; tergites II–VII with two pairs of wing retaining setae of which the anterior pair on each tergite is straight not sigmoid; tergite IX setae S1 and S2 capitate, about half as long as tube. 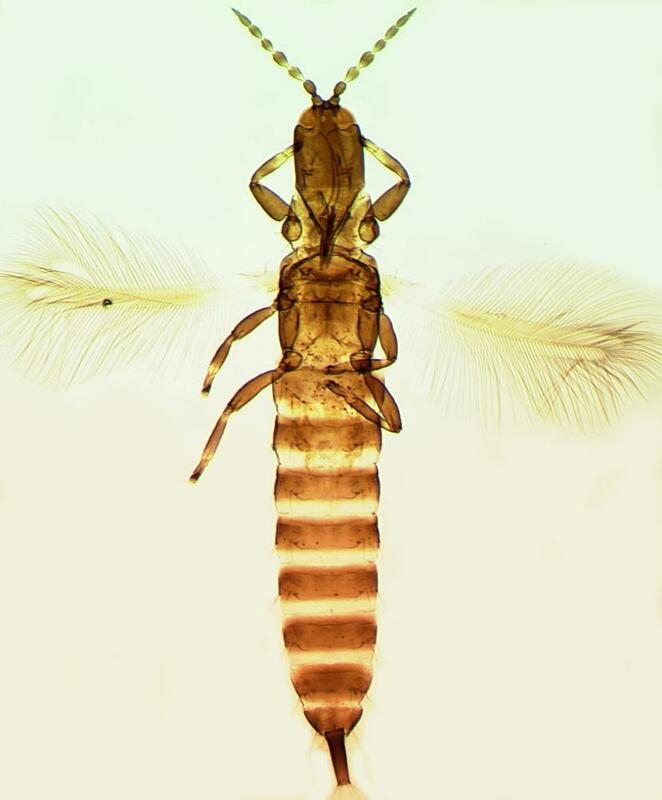 The genus Poecilothrips currently includes three species; P. albopictus is widespread, one species is from South Africa, and P. dens Moulton is from California. 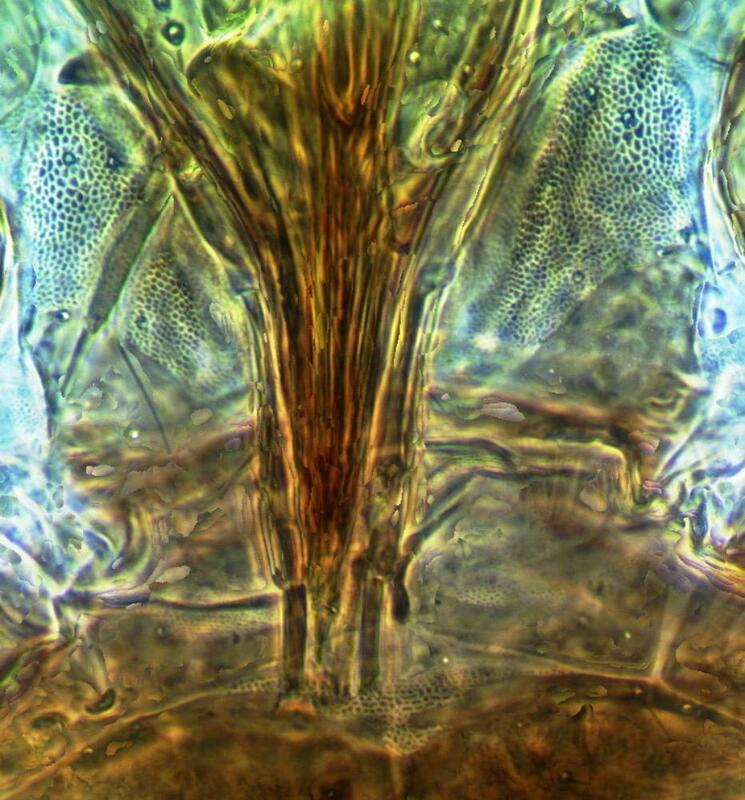 This third species is known from only two specimens (Cott, 1957) and, since the metanotum is longitudinally reticulate rather than striate (Mound & Marullo, 1996), it is possibly not closely related. Widespread across Europe; also New Zealand, California, New York, Pennsylvania.